There’s a photograph pinned to the north wall of Clay Shetler’s small office, one that might easily be missed among the many photos and documents taking up the space. Pictured is Shetler himself, beaming and leaning over Kenneth King and Clarence Burkholder, who are both seated. The one unifying fact about these three men, who are decades apart in age, is that they were all at one point directors of the Goshen College physical plant. Burkholder was director for 19 years, followed by King for 16 years, and finally, in 2017, Shetler will join their ranks as a retired director. He is finishing up his 28th year in the position. Goshen College was familiar to Shetler growing up, yet he never expected to find himself dedicating such a large part of his life to the college. While at Goshen College, Shetler attended the very first Study-Service Term in the fall of 1968. Along with 15 other Goshen students, Shetler set off for Jamaica in the first semester of his sophomore year. While in Jamaica, during the service portion of the semester, he worked at a high school building an addition to the dining hall and a retaining wall along the mountain road. His next step was to volunteer for the draft as a conscientious objector. His volunteer position allowed him to be placed with Mennonite Central Committee, and in the fall of 1969, Shetler found himself on a plane to Belgium for three months of intensive training in French. Then, after his preparation, he was sent to work at a United Nations secondary school for Sudanese refugees in Congo. His two years of work there provided him with an on-the-spot education; he spent his time constructing buildings and purchasing supplies for the school. Shetler started at Ferris State in 1971 and proceeded to earn an associate’s degree in construction. 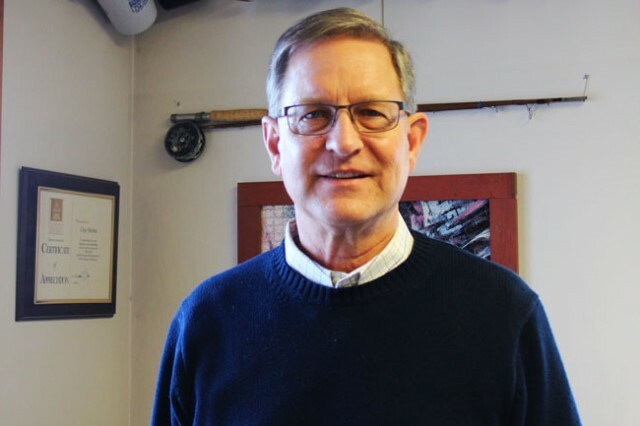 In 1973, Shetler graduated from Ferris as a top student with a near perfect record and went into heavy construction, working at the world’s largest crude-oil-fueled power plant. Within a year, the first oil embargo happened and he was transferred to the home office in Ann Arbor, Michigan, where he met his wife. From there he left to manage a smaller company, Booms Construction, Inc.
“We kind of did everything from churches to pigpens,” he joked. Shetler was a manager there for seven and a half years, until the founder died. After that, the founder’s children began taking their money out of the company, he said, making it difficult to bond projects. About that time, Dan Kauffman, from the development office at Goshen College, came through looking for donations. Shetler showed him some of the projects the company was working on and told him about the troubles the business was having. The college was in no position to bring someone in to overlap with King for the remaining year, and the business manager, who was retiring the same year, thought the new business manager should select the director of facilities. “I really felt I was coming to work for the Mennonite Church,” he said. “So that’s kind of the motivation for coming here. Being here for so long, Shetler is ready to move on.